The roots of the Dm3 move backwards to the duplex-locomotives Dm, which were built in 1953. In the year 1960 first of all three prototypes were built by ASEA for the swedish Statens Järnvägar (SJ). 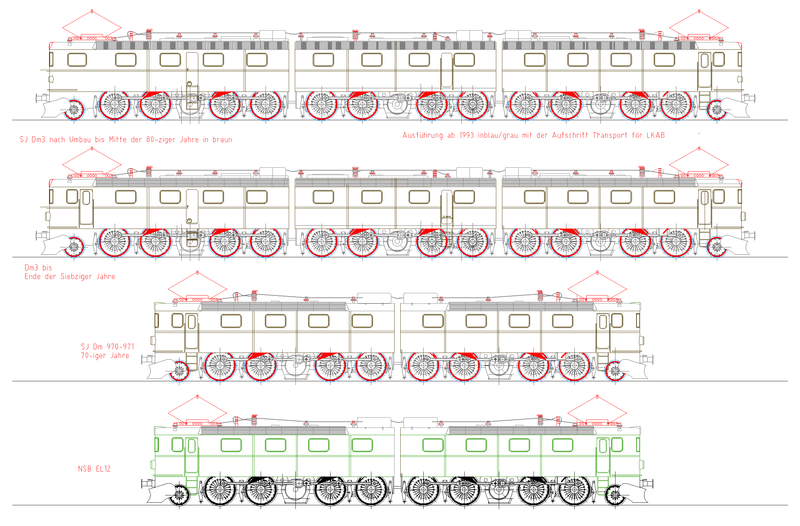 These locomotives get a driver‘s cab-free middle section marked as Dm3. Officially the triple-locomotives were marked als Dm+Dm3+Dm, shortened they were only called as Dm3. Since the locomotives were transferred to the MTAB they are officially called Dm3. The origin-version from 1953 was marked as Dm2. 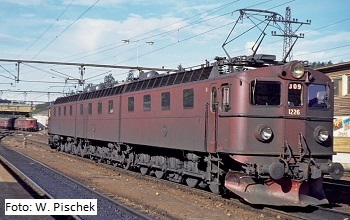 A series of 15 strengthened and heavy locomotives was built in 1961. Unfortunatelly at this moment there have been no suitable ore wagons, so the machines were delivered as duplex-locomotives. The middle sections had been ordered in 1966, because it was foreseeable, that in 1967 suitable ore wagons for 5.000to trains were available. The whole length of this locomotive represents 35.250mm, so the Dm3 belong to the longest electro locomotives in the world. Striking on this locomotive are the SAB-wheels with the rubber band jacket spring of the wheel rim and the rod drive. A look into the factory.